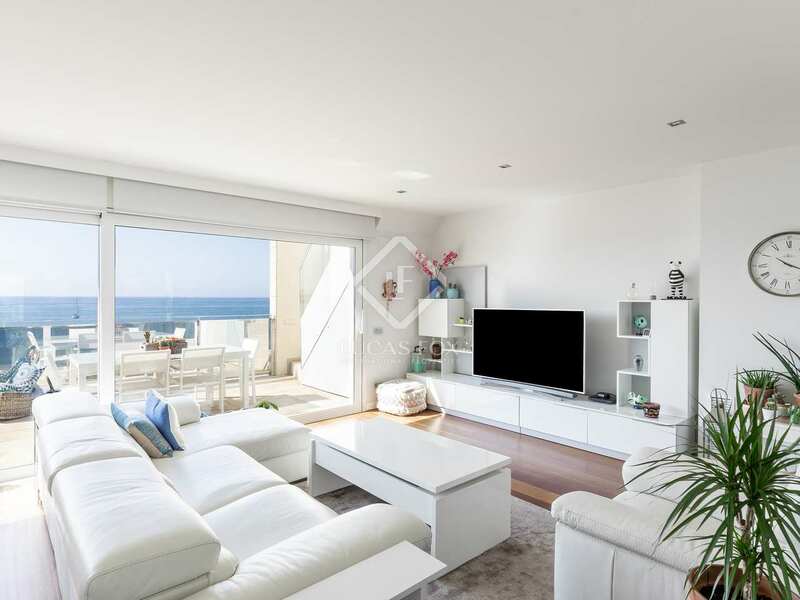 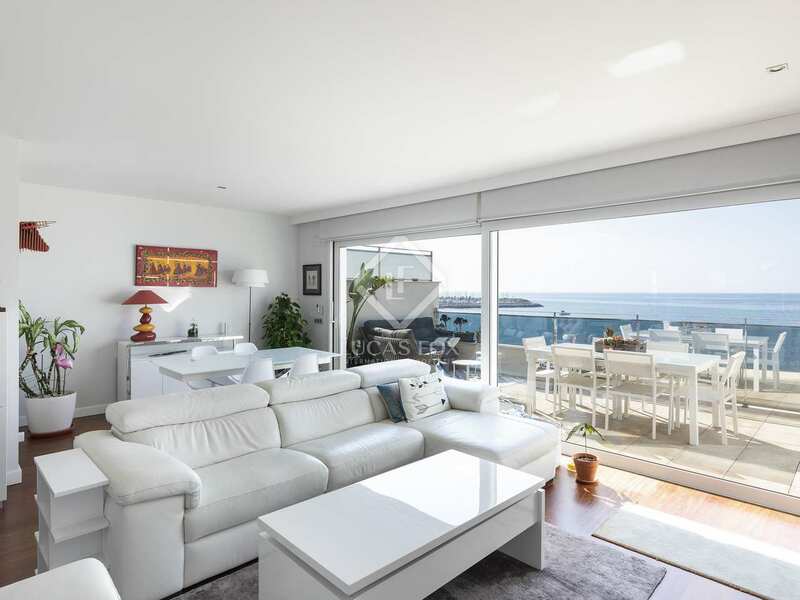 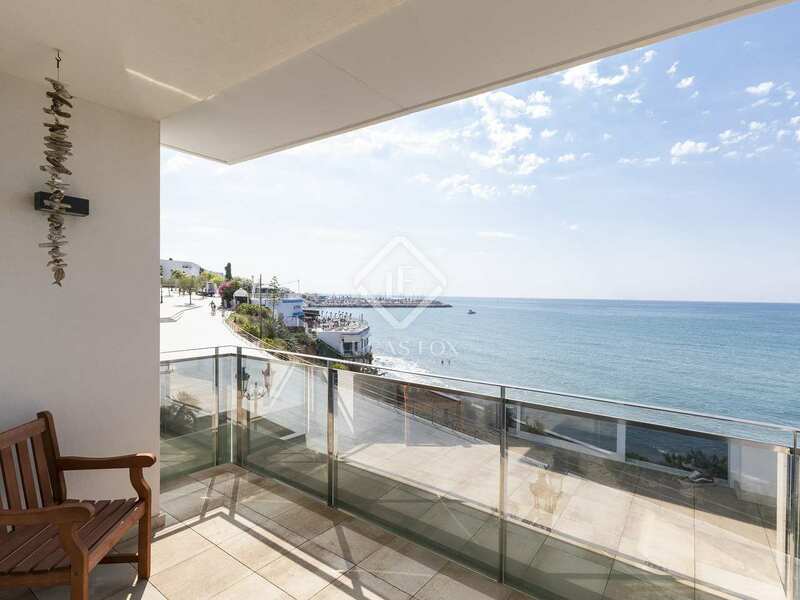 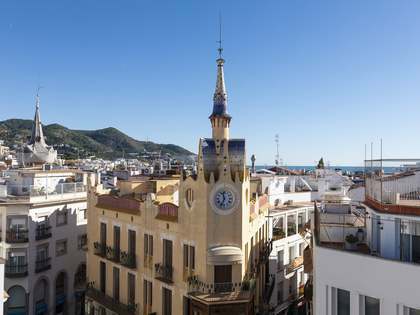 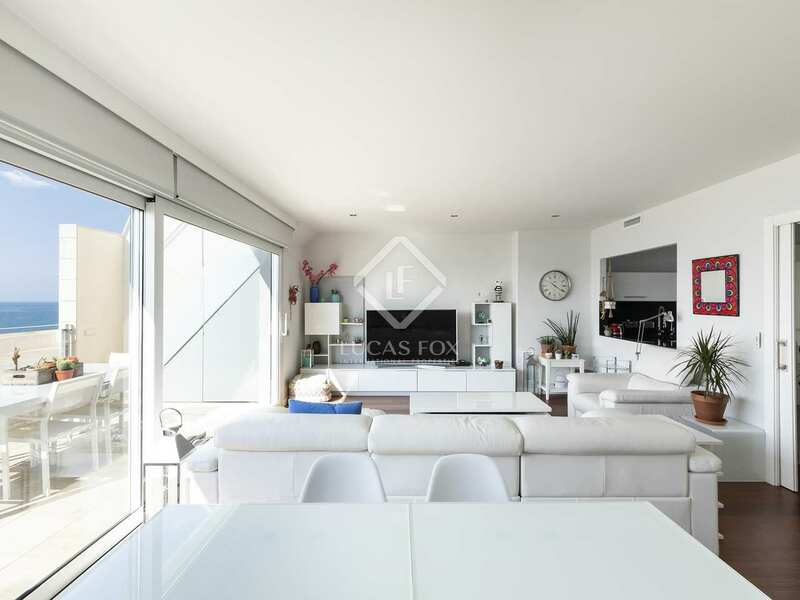 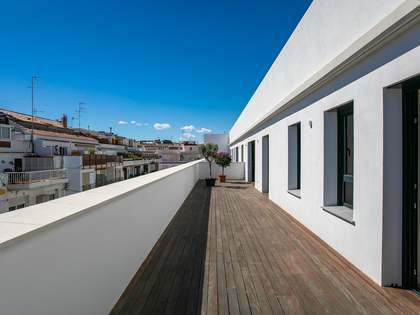 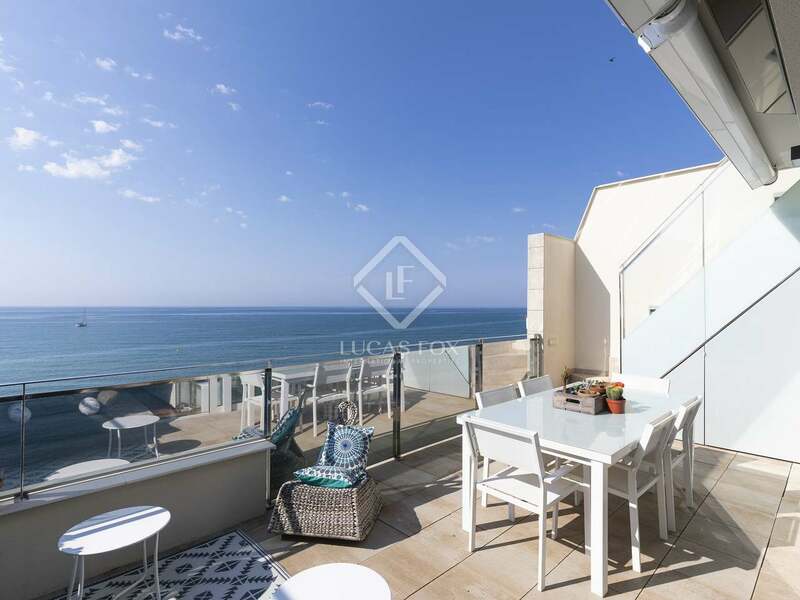 Very rare opportunity to acquire an impeccable seafront penthouse with a rooftop terrace and 2 parking spaces in the most exclusive central area in Sitges. 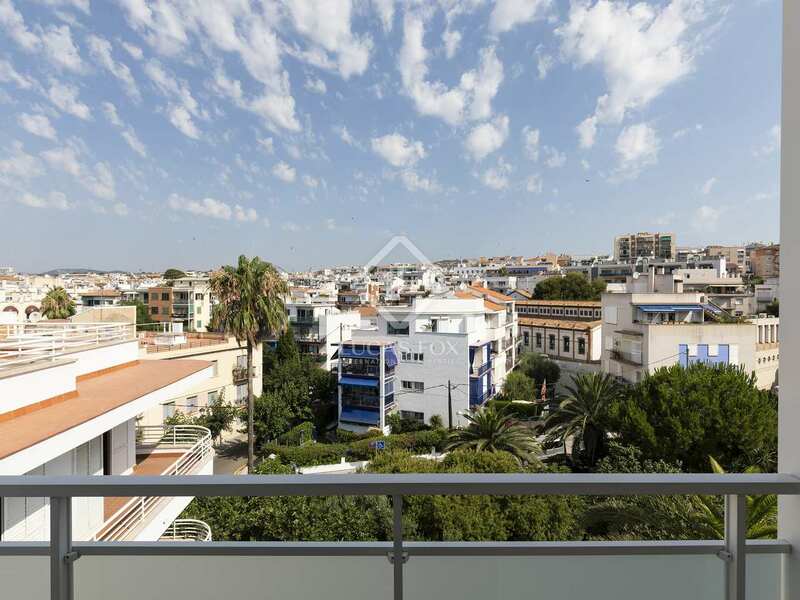 Also possible to acquire the entire building with a total of 3 properties. 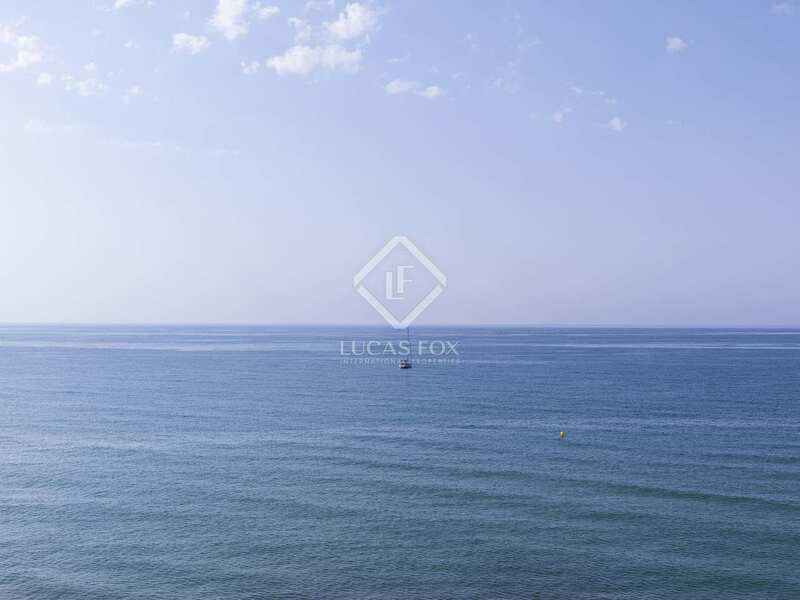 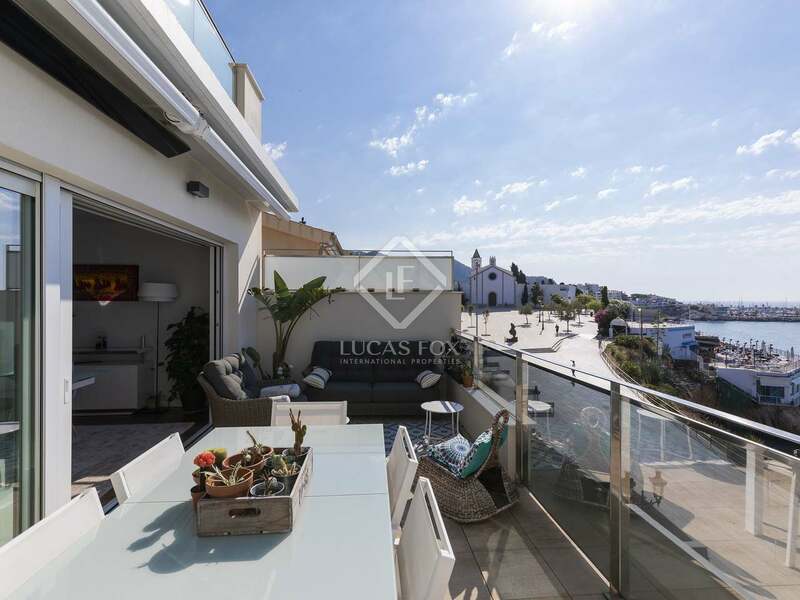 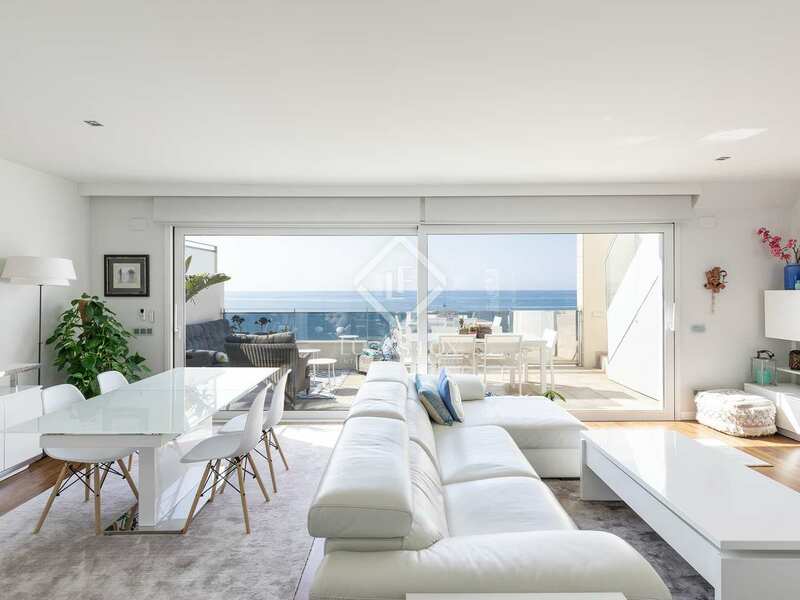 This is a golden opportunity to acquire a beautifully finished high-end property in an enviable Sitges location, between Sant Sebastian and Balmins beach. 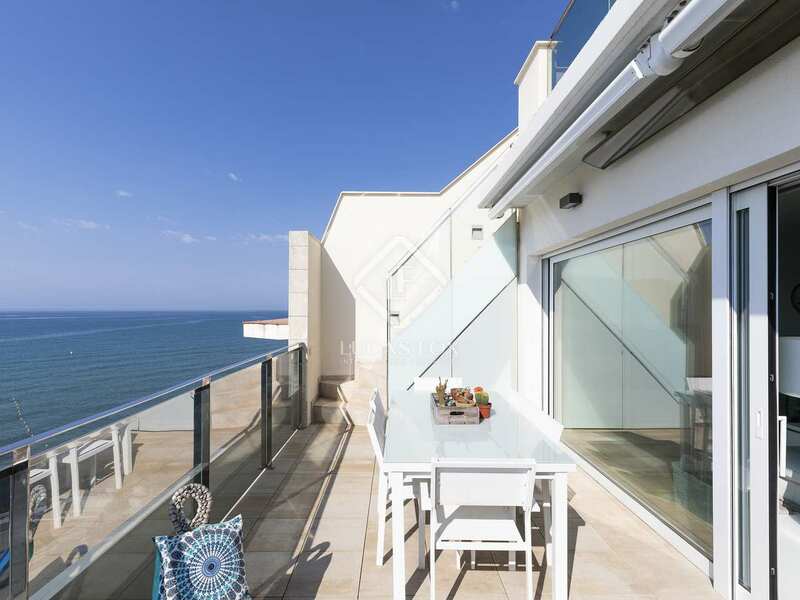 It is right on the seafront and very central, yet peaceful as there are no bars or restaurants on this stretch. 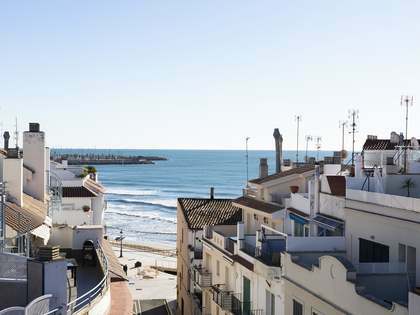 The best restaurants are just 2 minutes away on foot. 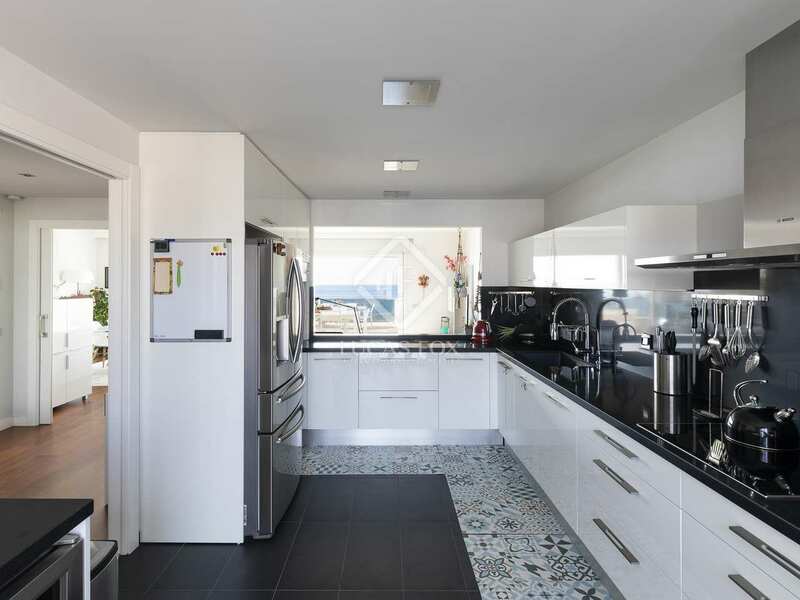 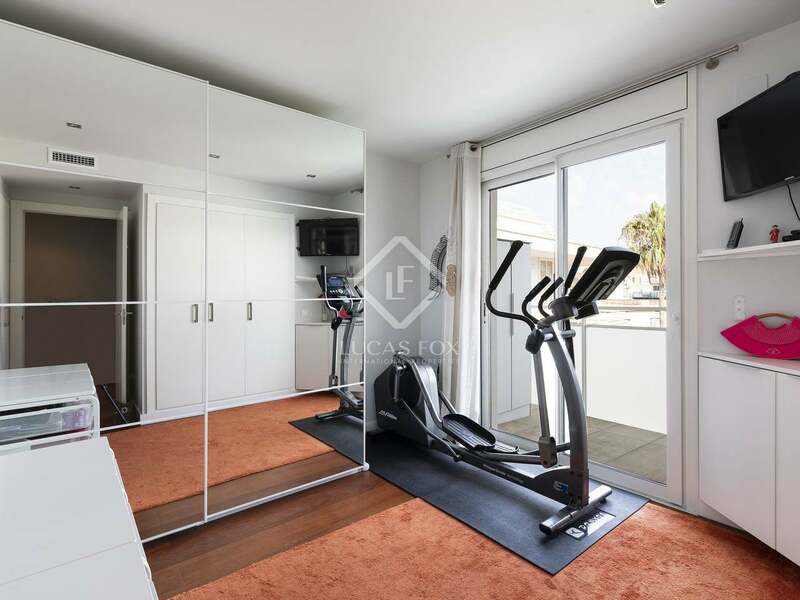 Only 4 years old, the unique duplex penthouse is presented in pristine condition, with top of the range fittings and finishes, hardwood floors, hot and cold air conditioning, ample storage, motorised blinds and 2 parking spaces. 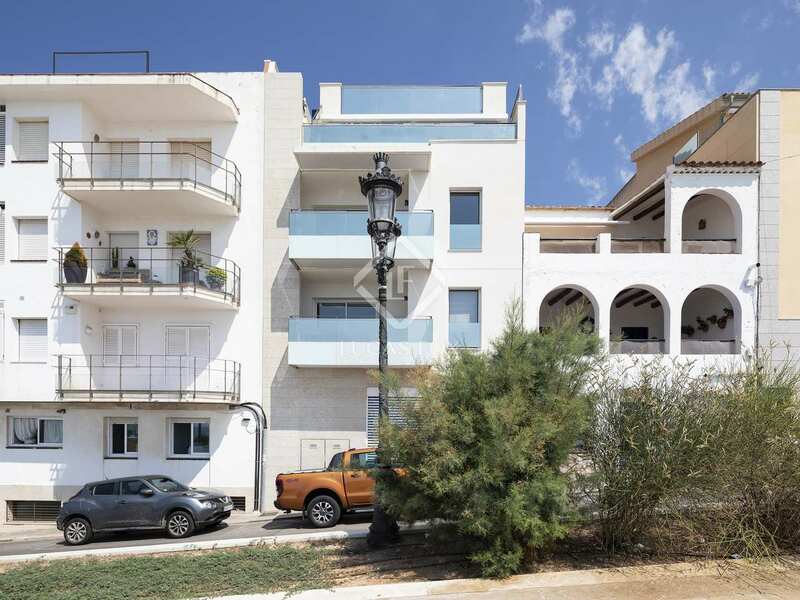 It is 1 of 3 apartments in the building and the client has the option to buy 1 or 2 properties or the entire building, with a lift to reach all floors. 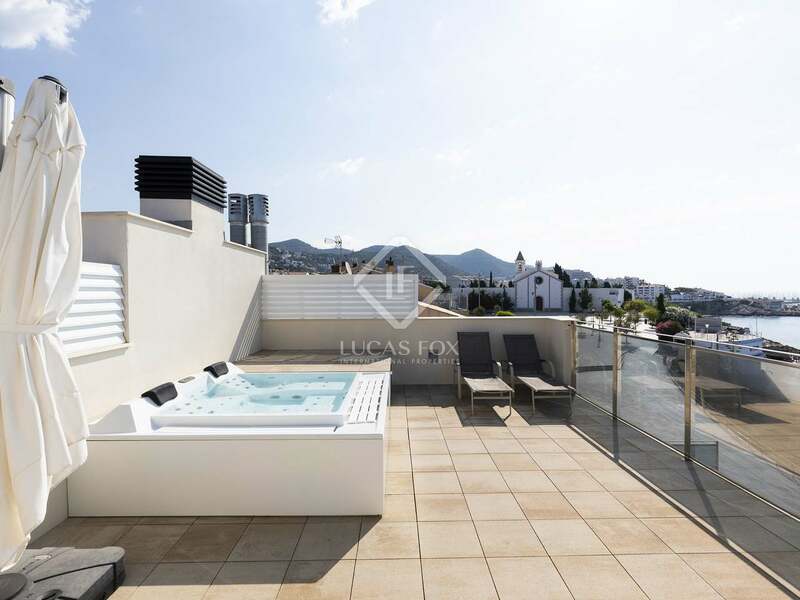 This particular property is the penthouse with 2 floors plus a roof terrace with a jacuzzi which could be changed for a pool if desired. 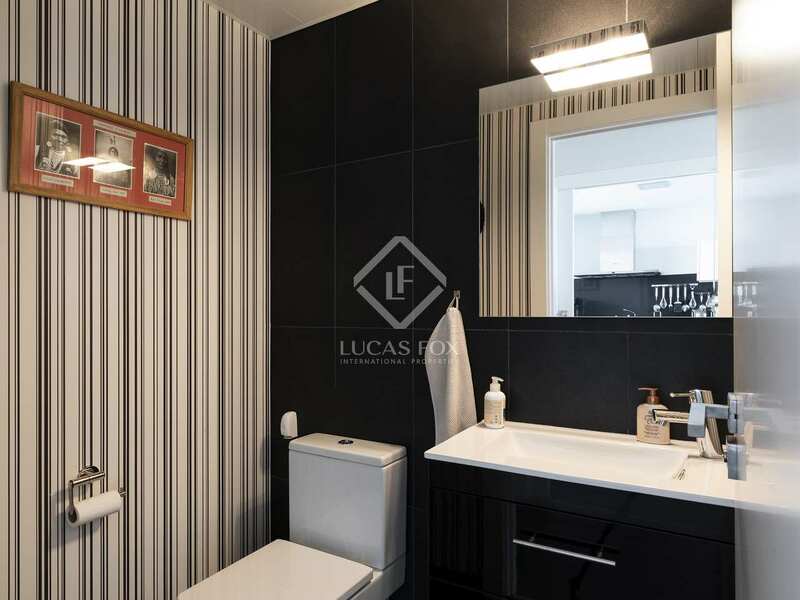 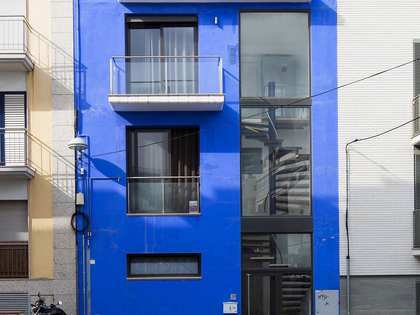 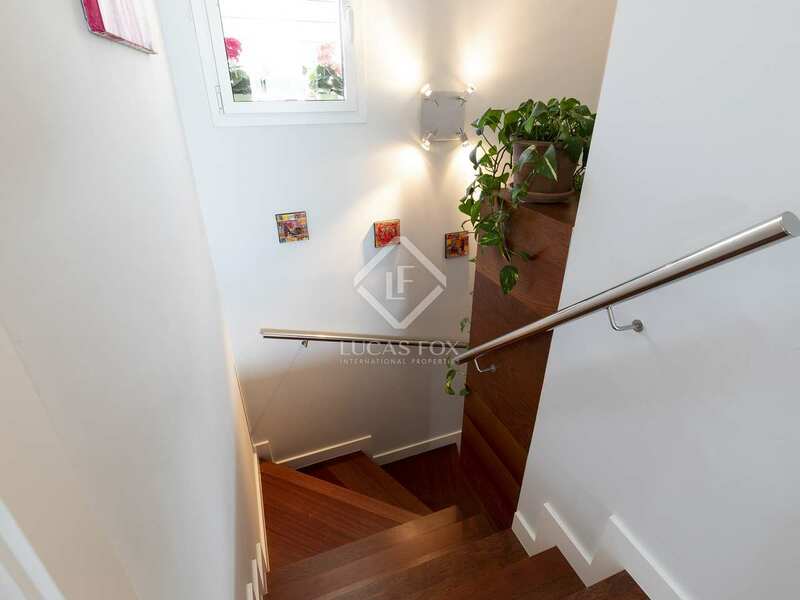 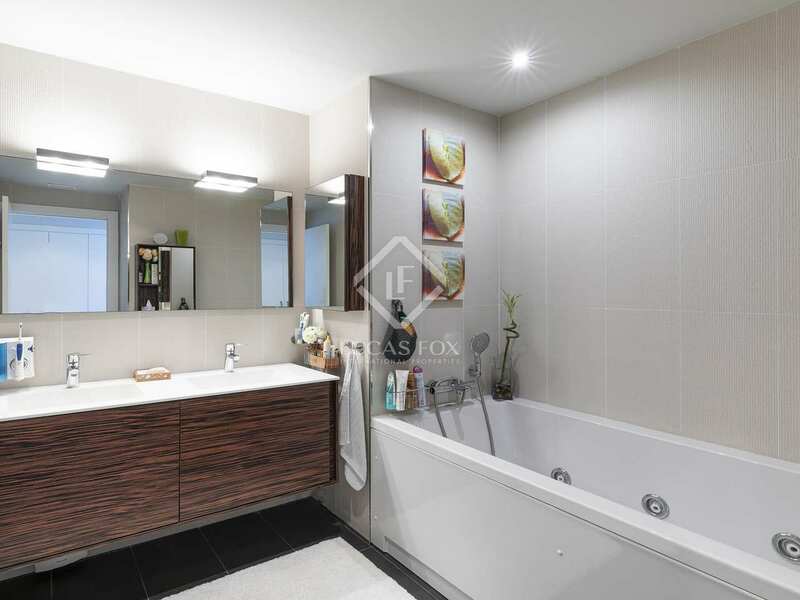 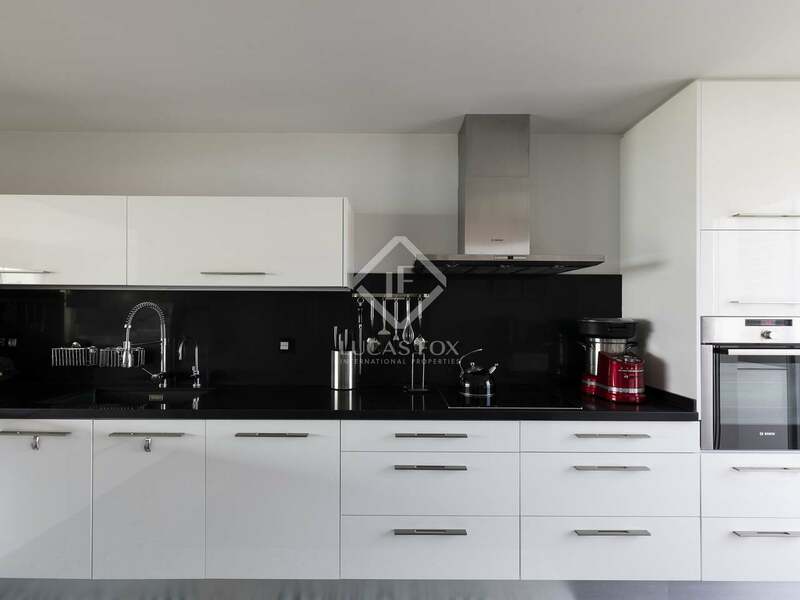 Both levels of this duplex can be accessed via the internal staircase or by their own front doors from the hallway which has stairs and a lift that stops on both floors. 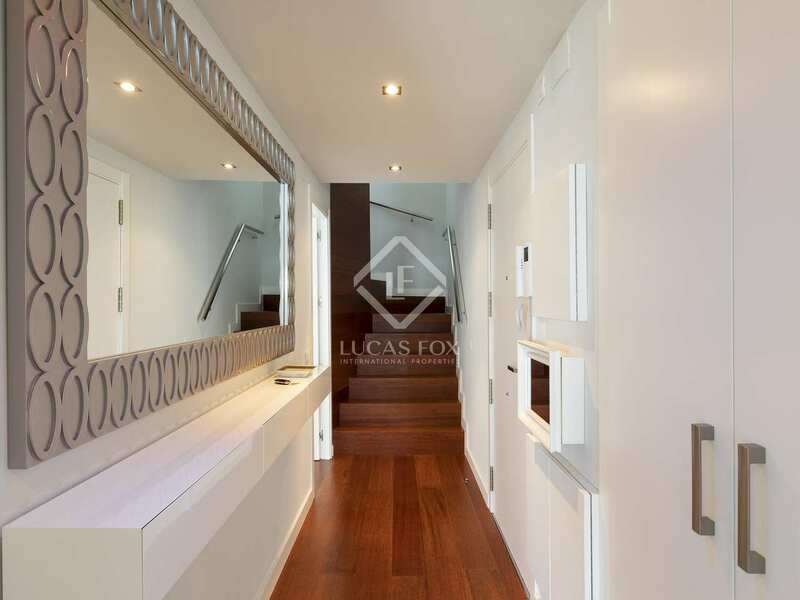 The lower floor houses the 3 bedrooms and 2 of the bathrooms. 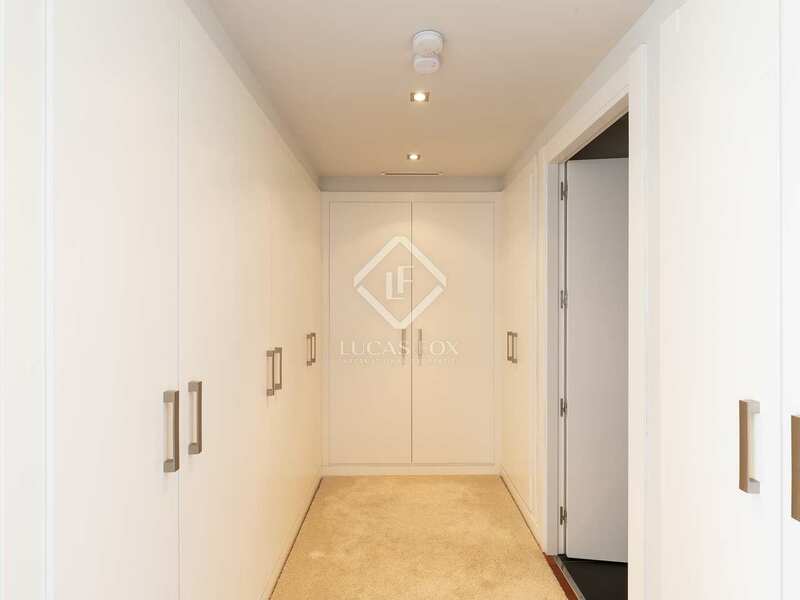 To the right of the front door, we find a double bedroom and a bathroom with a shower. 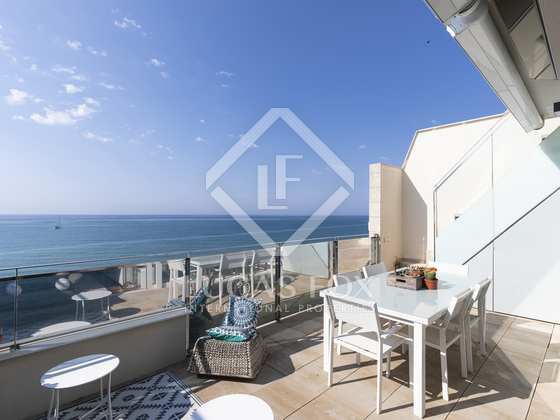 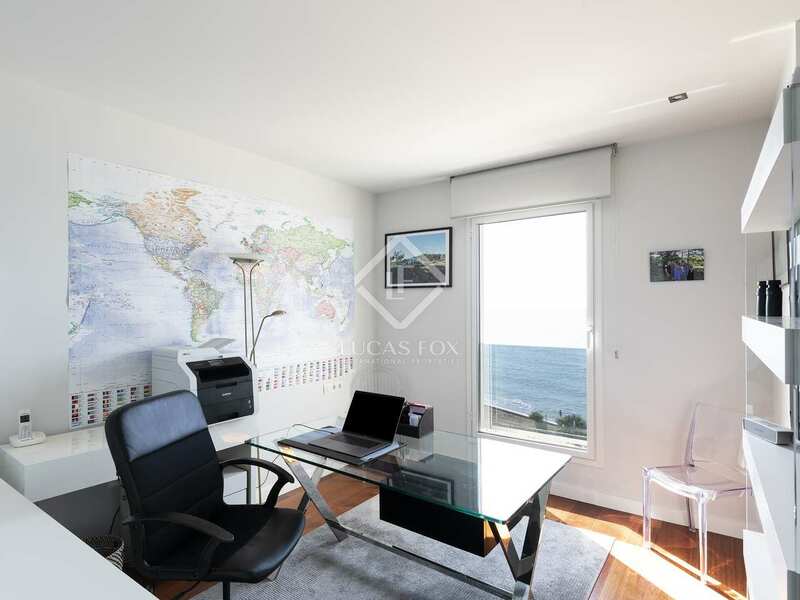 Turning left towards the sea there is another double bedroom which is currently used as an office and which enjoys incredible sea views. 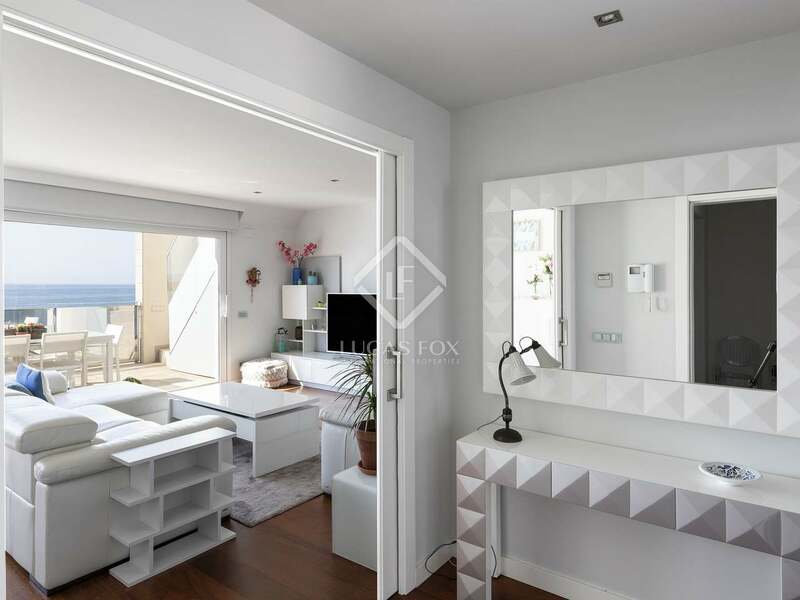 Opposite this is the master suite with its dressing room, bathroom with bathtub and separate shower area as well as the bedroom with a terrace overlooking the sea. 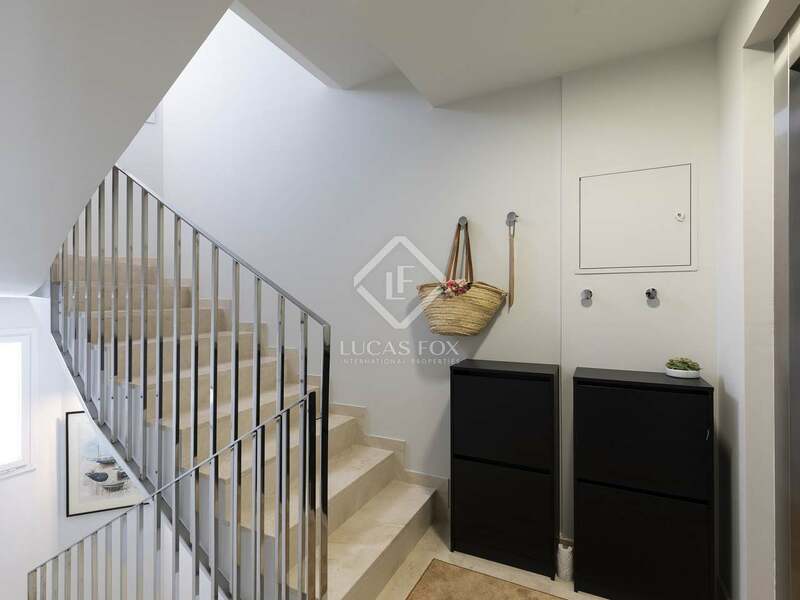 Taking the internal staircase up we find a kitchen opening to a terrace at the rear of the property which houses the laundry area. 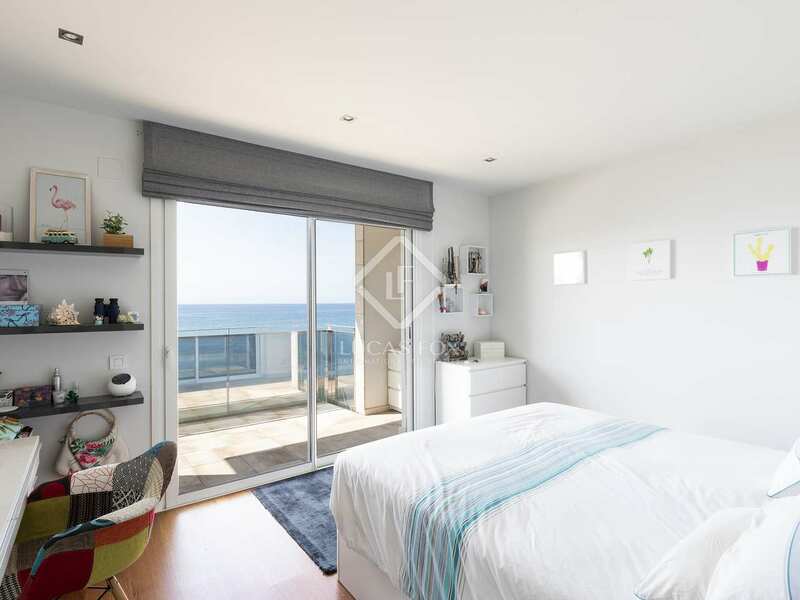 You also have stunning sea views from the kitchen. 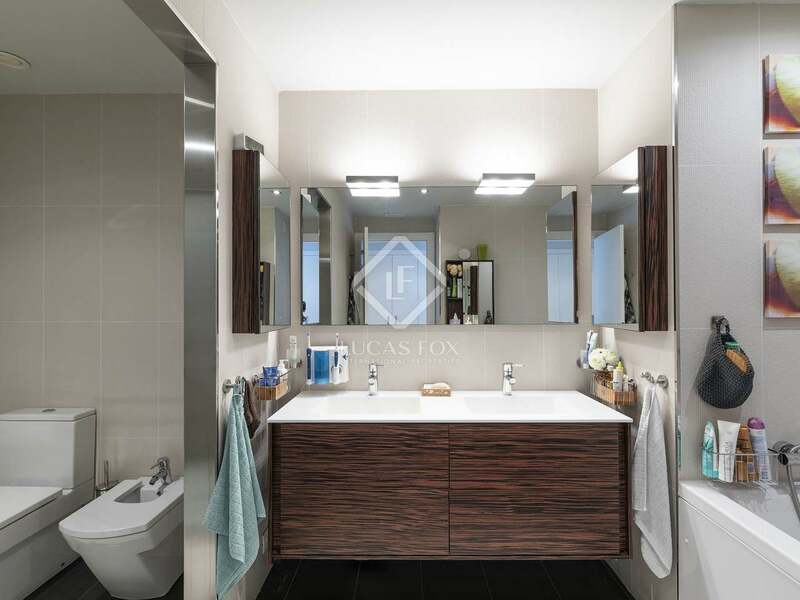 There is a guest bathroom on this floor. 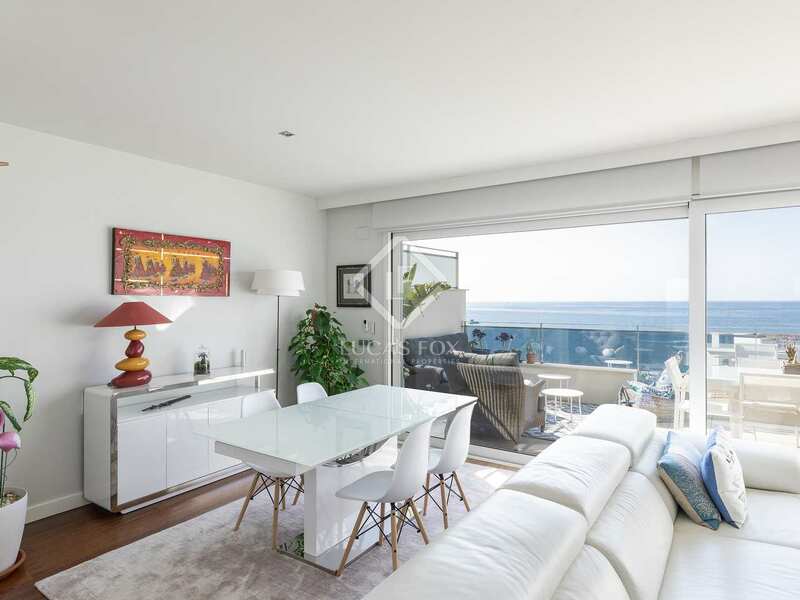 There is also a living room – dining room, accessed via sliding doors, which leads onto a very large terrace prepared for year-round al fresco dining, with a huge awning for shade in the summer and a heater for warmth in the winter. 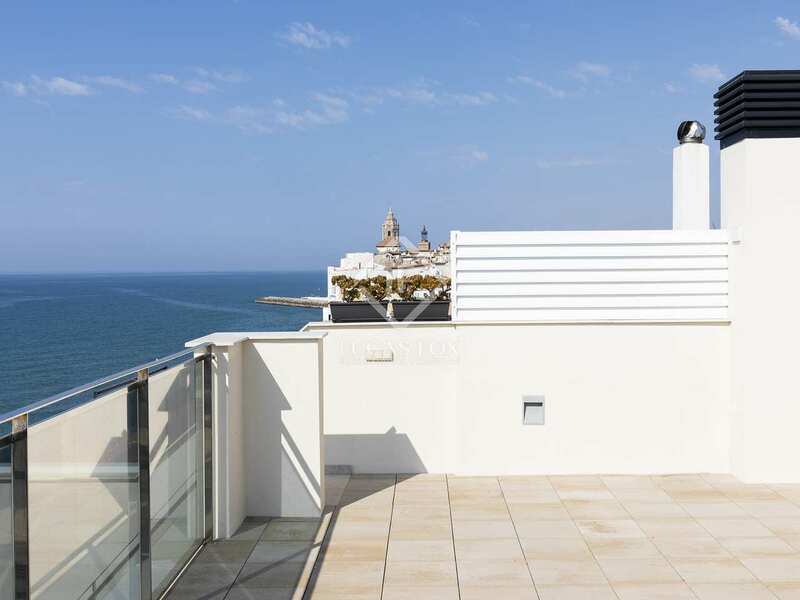 From this terrace we take a set of stairs up to the roof terrace to enjoy panoramic sea views and iconic views of the church from the wonderful outdoor jacuzzi. 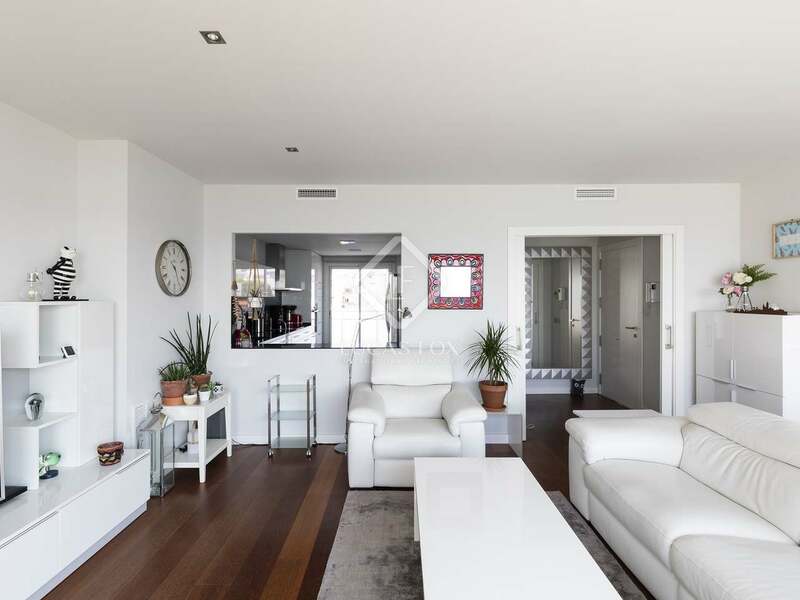 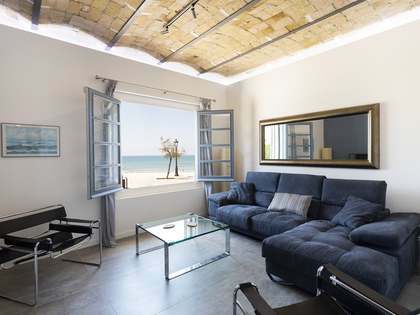 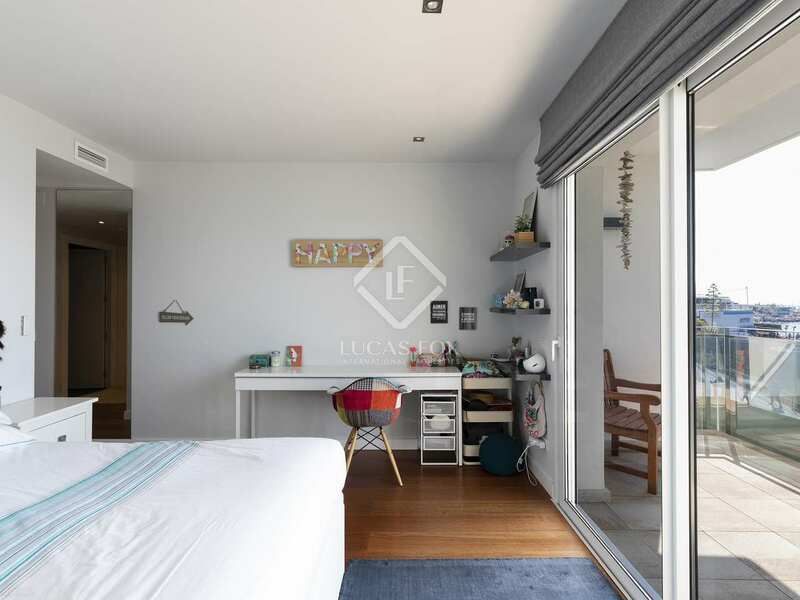 This property enjoys one of the best possible locations in Sitges, between Sant Sebastian and Balmins beach. 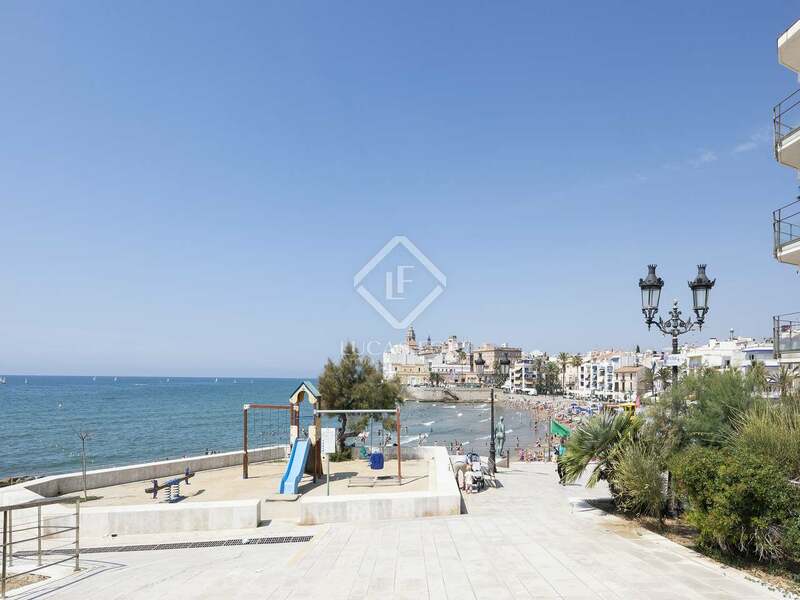 It is right on the seafront and very central, yet peaceful as there are no bars or restaurants on this stretch.